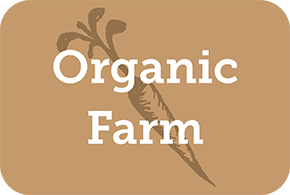 We at Butter Brook Organic Farm Stand and Market have been a certified organic farm since 1990. We operate our farm stand year round and have been a four-season grower producing specialty greens in winter and off-season greenhouse greens tomatoes and herbs. Our farm stand offers a full market also, featuring truly local organic sustainable products from our local farmers and artisins. We all together make a difference. Durning the year there are formal and informal gatherings to promote and sustain our committment to our community farm. Seasonal field and greenhouse produce, and turkeys, chicken and eggs. Monday through Saturday, 10 a.m. to 5:30 p.m.